When the sun rises, do you not see a round disc of fire somewhat like a gold piece? O no, no, I see an innumerable company of the heavenly host crying "Holy, Holy, Holy, is the Lord God Almighty." Do not talk what thou wouldst do if thou wast an angel, but consider what thou canst do as thou art a man. What a piece of work is a man! How noble in reason! how infinite in faculties! in form and moving, how express and admirable! in action, how like an angel! in apprehension, how like a god! the beauty of the world! the paragon of animals! Angels affect us oft, and worshipped be. I seemed to have been involved in a road accident, and I clambered out of a rather shadowy car The road ahead was poorly made up, and I had to crawl my way forward - in the process, escaping from some people who were impeding my departure. At last I reached the end of the road and found myself in a vast expanse of clear space. There were no markings, but the space was occupied by diaphanous beings who had a mere outline of shape. This shape superficially resembled the human form, but there were no recognizable features. They seemed to cluster together in joyous groups, animated by a spirit of love that poured out into the atmosphere. They received me as one of their own, and I seemed to play along with them in their harmonious movement. Then I began to wonder where I actually was. One of the company seemed to sense my question and asked me, "Don't you know that you are dead?" I then seemed to be ushered towards a great shadowy building where someone awaited me, apparently for appraisal and instruction. By this point, though, I was so excited that I seemed to awaken myself consciously: I had had direct proof of the survival of my personality after bodily death, and I wanted to make this knowledge available to others as soon as possible. Seldom have I woken up with such excitement and joy. Shortly afterwards, I even considered writing a book on what I had experienced, but a later, more sober, consideration showed that there was barely enough material for even a single page of foolscap. Nevertheless, this dream has played its part in writing this book, for the diaphanous ones whom I saw were certainly angels. Who it was that I was to visit I can only conjecture. I had absolute trust and confidence that all was well, and so it may have been a representative of God the Holy Trinity. Had I been rather less impetuous, I might conceivably have attained this knowledge, but I suspect I did what was expected of me. In my earthly state of spiritual understanding, I am surely not eligible for a heavenly meeting. It may be that when I make the great transition that we call death I shall be better prepared for what is to come. 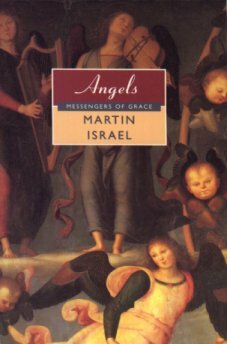 The object of this book is to establish the angels in their place as ministers of God's grace to his manifold creatures. I have concentrated only peripherally on actual apparitions, because these are well recorded in the considerable contemporary literature on angels; instead, my interest has centred more on their nature and function in the divine economy. However one views the origin of angels, it seems quite certain that they are an essential link between a human being and God - and, more universally, between the whole created world and its creator It will be an important day when theologians decide to give the matter more attention, for then they will come closer to the divine source. My thanks are due to my several friends who have been so kind as to allow me to publish accounts of their angelic visitations.